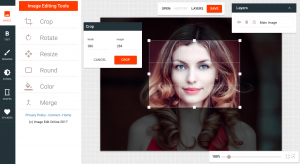 The best online image editor that you will ever need! Image Edit Online is an image editing tool with unlimited features that you would expect from a premium image editing service. We offer the most popular and important tools for editing images online. Start now and access all our premium tools with the best online image editor! How to crop an image. How to round an image. How to add filters to photos. How to add text to a photo. How to add stickers to photos. How to add frames to photos. How to turn a photo into a sketch. How to turn a photo black and white. Using our online image editor you can do almost anything with your photos to create amazing results. Choose from the basics, such as, crop, rotate, resize and round. Choose from 1000s of stickers and frames, including Face in Hole, magazine covers and different scenarios. You can create memes by easily adding text to photos, choosing from over 100 fantastic fonts. Use our creative brush effects to draw in any colour if you want to use freehand. You will also find a good selection of photographic filters to make your creations look more authentic. Image manipulation – Easily crop, rotate, resize and round images with Image Edit Online manipulation tools. Layers – With Image Edit Online`s fully featured layers system you can use drag and drop to move them around, change z-index and more. Frames – You can easily create fake magazine covers and face in the hole style effects with our many frames. Stickers – A large collection of stickers organised into various categories can be added to your image. Shapes – Add various shapes, drag to resize square, rectangle, circle or polygon. Change the shapes size, color, shadow and outline. 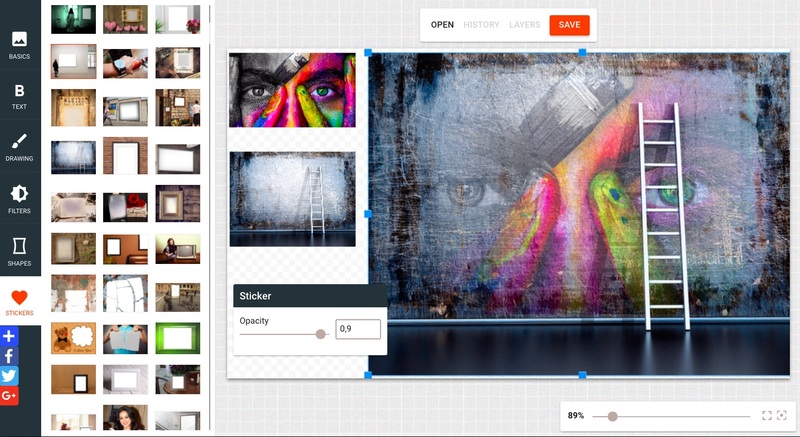 Whatever you want to do with your images, you can right with Image Edit Online!